The Little Lunch tie-in editions have escalated in popularity due to the amazing series on ABC3. The characters come alive for readers as they experience the visual and the written stories. They’re crazy, funny and unbelievable at times, but always highly entertaining. The characters are introduced at the beginning, first on the cover then through photos following the title page. There are three stories in each book. This is the seventh book. So much happens during the fifteen minutes break called Little Lunch. 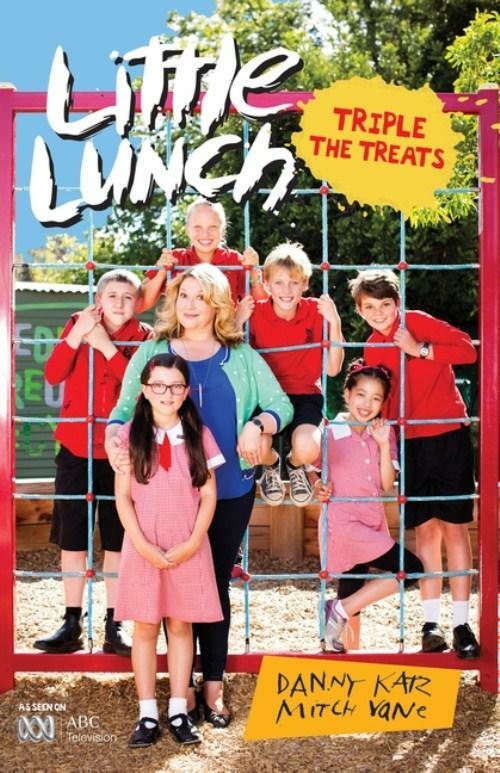 In The Milk Bar, everyone gets what they wanted in their lunch box except Rory. He’s forgotten his lunch - again! Starving, he searches through his school bag for the miraculous appearance of food to quieten his rumbling stomach. He finds money instead and the Milk Bar is across the road. But that’s out of bounds. Will Debra-Jo dob him in? She’s known as Dob-ra. Can the others talk her out of it with a bit of persuasion? Battie’s Pop is due to give an important talk in The Grandparents Day. Things don’t go according to plan. Battie imagines alternatives that can replace Pop’s appearance. Will the day be ruined for all? Because things have a way of turning out, can the day be saved? The last story, The Cake Stall features Melanie. She has baked a cake to sell, to raise money for homeless puppies. The cake is a catastrophe, and the boys decide to compete against her with their own fundraising scheme. As usual, what can go wrong, does, and all in fifteen minutes. This series will have difficult readers opening its pages. Ideal for 7+ age groups, it can become addictive due to its potential for endless discussion about the antics of the characters.